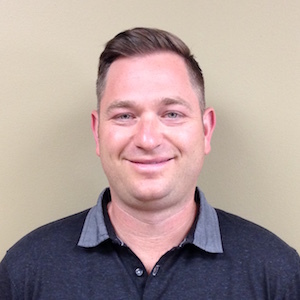 Under chiropractic care since age 5, Dr. Wood knew early on that he wanted to become a chiropractor. His first experience with a chiropractor came about after falling off a zip line at a playground. His parents, who saw a chiropractor regularly, rushed him to see one. From that point on, their family got adjusted. The chiropractor was their first stop for health care. I was always fascinated with health and the human body. I grew up in a home that looked for more natural ways of being healthy. I didn’t see a medical doctor often as a child, but instead focused on regular chiropractic care, nutrition and maintaining health naturally. Dr. Wood attended Canadian Memorial Chiropractic College. One of his cousins was a chiropractor who spent time mentoring him, greatly influencing the way he practices today. “He encouraged me to travel around, exposing myself to all that chiropractic could offer and learn different adjusting techniques.” Dr. Wood went all over North America to conferences focusing on the latest research, adjusting techniques, and expanding his understanding of what chiropractic can offer people. Since that time, Dr. Wood has helped thousands of people attain better levels of health, performance and vitality. 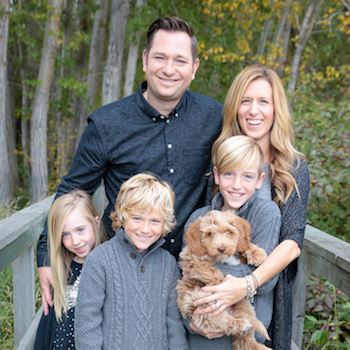 He practiced in three bustling offices in the UK before settling in Kelowna and opening Mission Family Chiropractic. He focuses on helping the whole person and leads advanced workshops to help people gain the knowledge they need to enjoy greater well-being from the Inside-Out. A fellowship in Pediatrics and Pregnancy from the International Chiropractic Pediatrics Association has equipped Dr. Wood with expertise to help pregnant clients and children of all ages. His desire to get to the root of your problems and correct your alignment resulted in a focus on postural corrective care early in his career. This has involved intensive training in many adjusting techniques such as Chiropractic BioPhysics® (CBP®). It was in chiropractic college that Dr. Wood met his wife, Suzie. They’ve been on adventures all over the globe together. Their first child, Owen, was born while they lived in the UK. Since then their family has welcomed Jonah and Sienna. They love traveling together and discovering the local food and wine, both in B.C. and abroad. During the winter, they enjoy skiing, and in the summer spend time swimming, playing tennis and soccer, riding their bikes and going for walks with their dog, Murphy, who you might see at the practice. Dr. Wood has coached local baseball, hockey and soccer teams. It’s important to him to be involved with our community. He and his family are active members of Kelowna Gospel Fellowship Church. There, they are involved with children’s ministry to teach kids about their journey with Jesus. Dr. Wood and his son, Owen, are a part of the worship band, playing bass guitar and acoustic guitar. Jonah plays guitar and Sienna plays piano, though they’re a little too young to join the band just yet! For the last three years, Dr. Wood has been on the board for Kelowna Christian School and has served as the vice-chair for the last two. He supports various organizations locally, nationally and internationally, such as Compassion Canada, through which he sponsors three children. Chiropractors with Compassion and the International Justice Mission are two other causes that are close to Dr. Wood’s heart. Find out how we may be able to help you by taking advantage of our new client special. Contact our friendly, helpful team today!